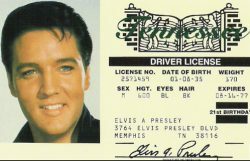 If you are under 18 years of age, you must first attain a TN drivers permit before you embark on the steps to receive your TN DLSteps for getting a TN learners permit (also known as TN driving permit) include:1. Turn 15 years old. 2. Show proof of U.S. citizenship, residency and identity to your local NY DOS Office. 3. Show proof of school attendance. 4. Pass a vision test. 5. Turn in a parent-signed Form SF-0259. 6. Pay a learner’s permit fee ($10.50 as of September 2017). 7. Take a TN DMV practice test. 8. Get Your Learner’s Tennessee permit test. 9. Take the TN permit test.To prepare for the Tennessee permit test, practice makes perfect! You can take the standard practice test provided by the DOS and we also advise inexperienced drivers to read the TN driver manual and other manuals and articles online to enhance their studies.Don’t sweat it. The TN learners permit test is not that hard. If you understand the state’s traffic rules, signs and signals, safe driving techniques and the effects drugs and alcohol have on driving, then you will ace the permit test TN intends for you to pass. After you passed your learners permit test for TN, you are one step closer to getting your TN driver’s license! Before you head down to your local Tennessee driver services office to obtain the that prized possession, you can pretest for by taking a practice drivers test TN online, or through your local library or school.Before you venture out to obtain your TN driver license, make sure you do the following:1. Turn 18 years old. 2. Make an appointment at the TN DOS office. 3. Bring TWO of the following: Your birth certificate, passport, work authorization card, marriage license, U.S. citizenship certificate. These are to show proof of legal U.S. status, age and identity. 4. Pass a vision test. 5. Pass knowledge test and TN driving test. 6. Pay a fee. The Tennessee drivers license cost is usually around $28.00. The steps to get a TN driver license for those new to the state are similar to those for those who were born in the state. First, locate your nearest TN drivers license stations and surrender your out-of-state driver’s license. You must do this within 30 days of becoming a TN resident.Once you’re at the Tennessee DOS office, you will:1. Pass a vision test. 2. Show proof of legal status with: U.S. birth certificate, citizenship certificate or permanent resident card. 3. Show proof of your TN address with: utility bill, bank statement or paycheck stub. 4. Take a PHOTO. (Say Cheese!) 5. Pay a fee. The Tennessee drivers license cost is usually around $28.00.You will not have to take the TN road test or study by using a TN drivers test practice guide… unless your out-of-state license has been expired for 6 months or more or if you have a license from a different country.